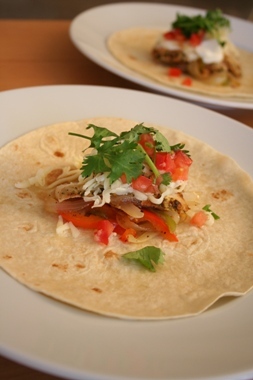 Since we lived in Southern California so long, our family is a big fan of Mexican and TexMex cooking. 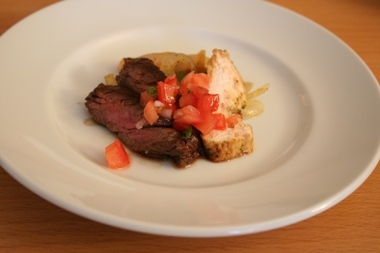 I was so excited to go to this cooking class to learn more about this cuisine. Boy, am I glad that I went! Everything was muchas delicioso! This chili was the best one ever I tasted. 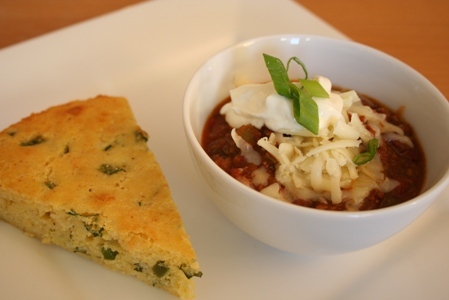 Slightly sweetened cornbread was a perfect match with this hearty soup. 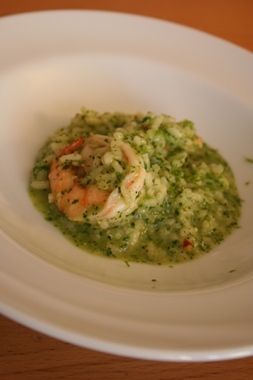 My favorite was the coriander pesto risotto. The rice was al dente, and I loved the light flavor. 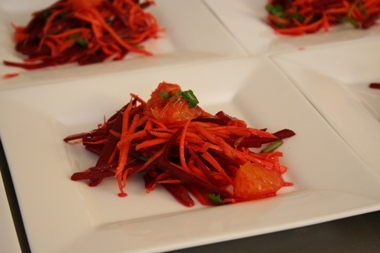 The colorful salad with beets and carrots was excellent as well. May I just say everything was so delicious? 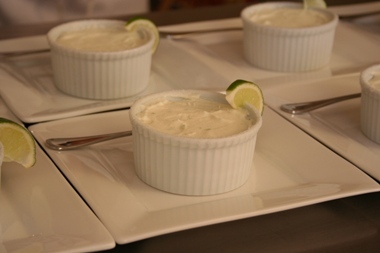 I am so looking forward to trying out these recipes at home.